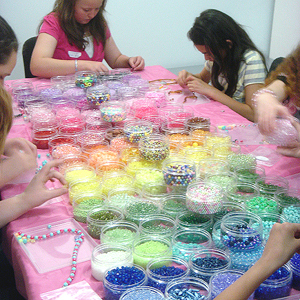 Our BEADING PARTIES ARE POPULAR so BOOK IN TODAY! Click here to for our Beading Parties Brochure to read all about it - with details of packages and pricing. Do you have a Special Child's Birthday coming up? 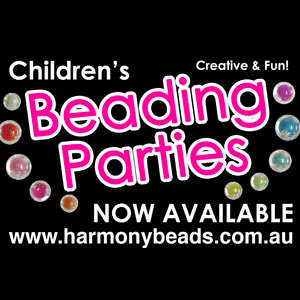 Why not celebrate IN STYLE and host a CREATIVE, UNIQUE AND FUN Beading Party at Harmony Beads? Each child creates their own beaded pieces using our HUGE RANGE of WONDERFUL BEADS 'n' BITS in a RAINBOW OF COLOURS! - For lasting memories & great photos! - Easy to organise and fuss free for parents! - Popular event for kids of all ages, they won't stop talking about it! - Boutique Party Venue - in our Bead Shop, surrounded by gorgeous things! Participating Children must be 5 years old and over. 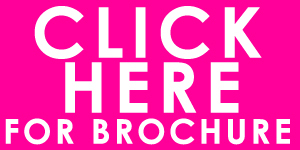 Click here to for our Beading Parties Brochure to read all about it. Ready to BOOK YOUR BEADING PARTY?